President Muhammadu Buhari of the All Progressives Congress (APC) is leading the candidate of the main opposition party, Atiku Abubakar of the Peoples Democratic Party (PDP), in 12 local government areas out of the 16 announced so far. Ogun State comprises 20 local government areas. 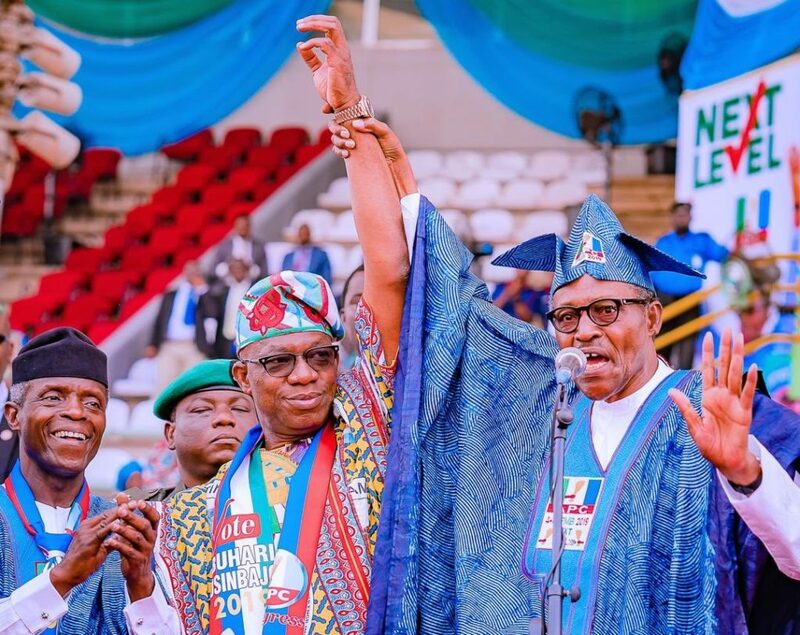 The results released at Presidential election collation centre at the Independent National Electoral Commission (INEC) headquarters, Magbon, Abeokuta, presided over by the Ogun State Collation Officer, Prof. Joseph Afuwape, the Vice Chancellor of the Federal University of Technology, Akure (FUTA), showed Buhari polled highest number of votes in Ijebu Ode, Sagamu, Ijebu North East, Egbado South, Odeda, Obafemi-Owode, Abeokuta North, Ikenne, Abeokuta South, Ado-Odo/Ota, Ewekoro and Ifo local governments, while Atiku won in Remo North, Ogun Waterside, Ijebuland North and Imeko-Afon local governments. The results of the remaining four local governments are still being collated.